We came across this poem and painting at a catered event in Rancho Mirage, California. The harried server didn't know the origins of the poem or the painting but said that there was someone who did. He turned to ask, but that person was no longer there. Research would need to be undertaken to discover the artist. The poet. one she planted when she was a child. Research lead us to the website of the artist. The poet. "Marylou Falstreau is an artist and creator of the Women and the Hourglass series of inspirational art for women. 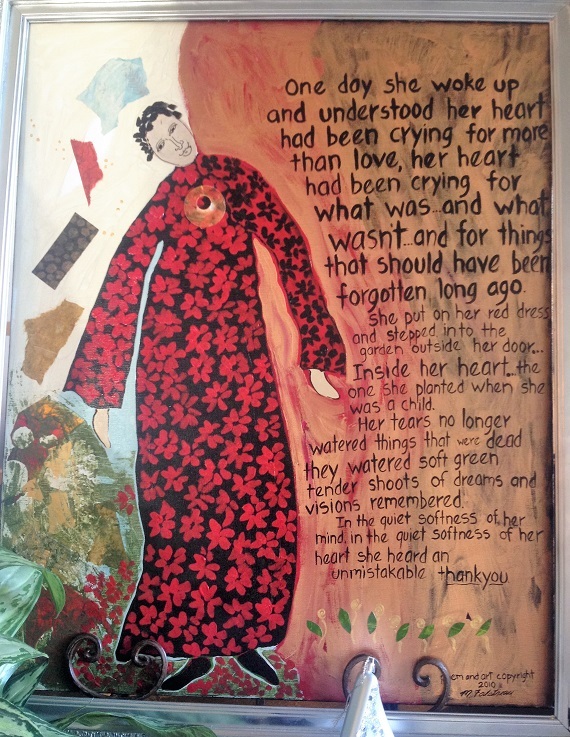 She has taken her own life experiences and turned them into fifty-two images that speak to the heart." 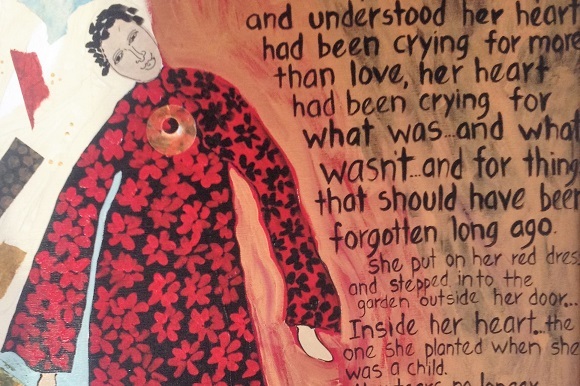 Full image of the art and poetry from Marylou Falstreau's "Women and the Hourglass" series. Poem and art copyright 2010 M. Falstreau.